Republic of Chile is a country in South America occupying a long, narrow strip of land between the Andes mountains to the east and the Pacific Ocean to the west. 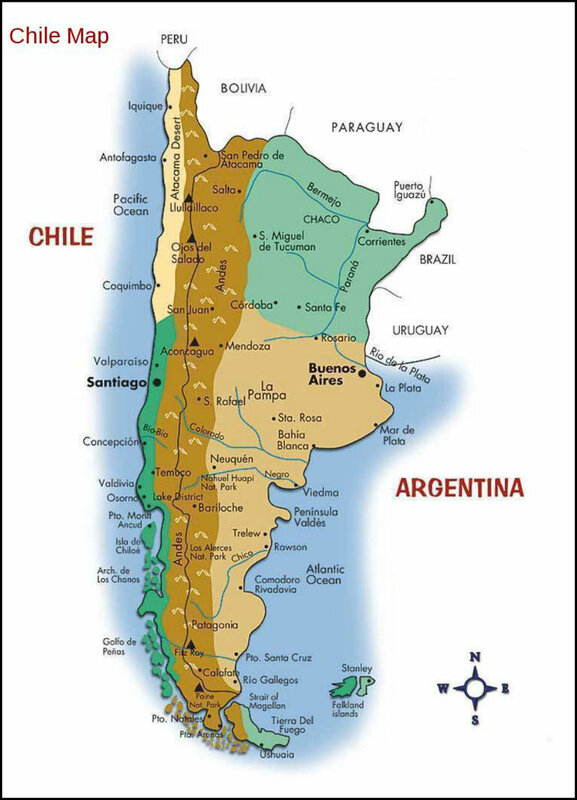 It borders Peru to the north, Bolivia to the northeast, Argentina to the east, and the Drake Passage in the far south. 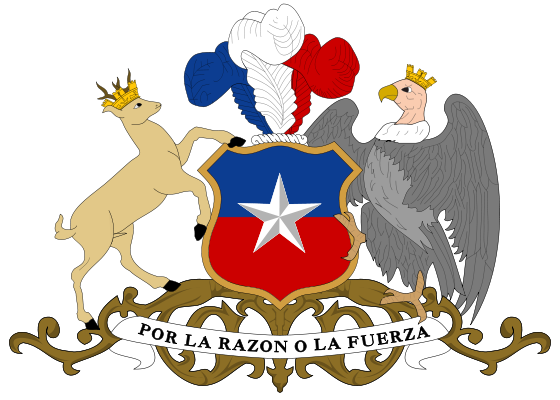 Chilean territory includes the Pacific islands of Juan Fernández, Salas y Gómez, Desventuradas and Easter Island. 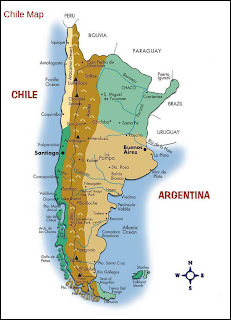 Chile is devided into 15 regions, each region headed by an intendant, The region divided into provinces. 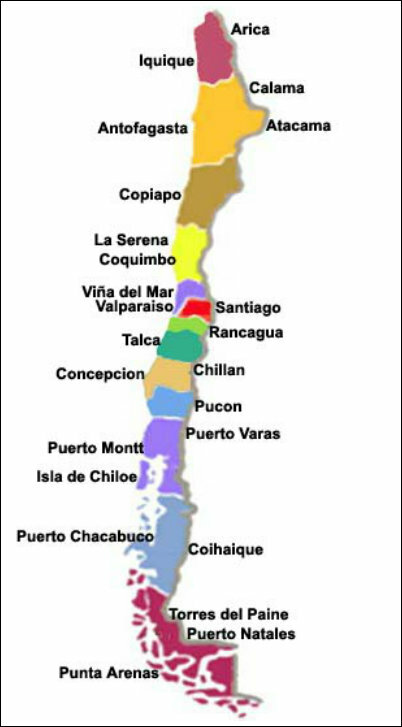 and each provinces divided into communes that are administrated by municipal. The main attractions for tourists are places of natural beauty situated in the extreme zones of the country: San Pedro de Atacama, in the north, is very popular with foreign tourists who arrive to admire the Incaic architecture, the altiplano lakes, and the Valley of the Moon. 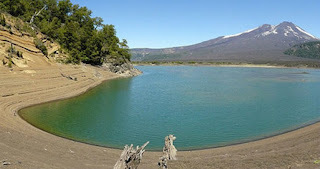 In Putre, also in the north, there is the Chungará Lake, as well as the Parinacota and the Pomerape volcanoes. 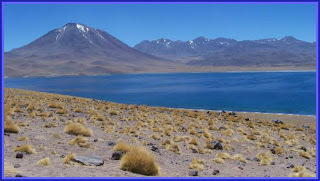 Throughout the central Andes there are many ski resorts of international repute, including Portillo, Valle Nevado and Termas de Chillán. The main tourist sites in the south is a national parks, the most popular is Conguillío National Park in the Araucanía and the coastal area around Tirúa and Cañete with the Isla Mocha and the Nahuelbuta National Park, Chiloé Archipelago and Patagonia, which includes Laguna San Rafael National Park, with its many glaciers, and the Torres del Paine National Park. The central port city of Valparaíso, which is World Heritage with its unique architecture, is also popular. 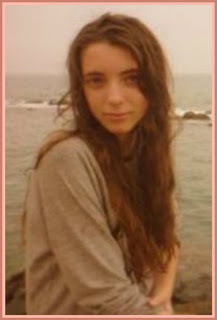 Finally, Easter Island in the Pacific Ocean is one of the main Chilean tourist destinations. For locals, tourism is concentrated mostly in the summer (December to March), and mainly in the coastal beach towns. Arica, Iquique, Antofagasta, La Serena and Coquimbo are the main summer centres in the north, and Pucón on the shores of Lake Villarrica is the main centre in the south. 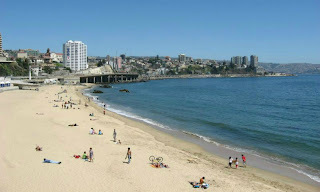 Because of its proximity to Santiago, the coast of the Valparaíso Region, with its many beach resorts, receives the largest number of tourists. 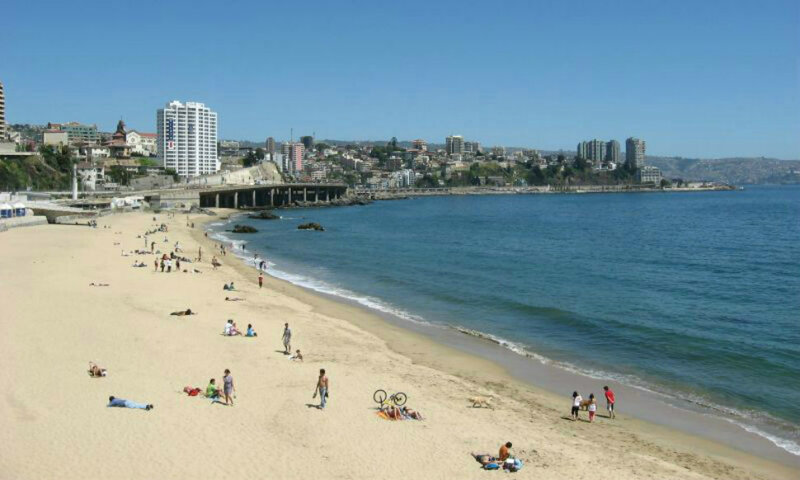 Viña del Mar, Valparaíso's northern affluent neighbor, is popular because of its beaches, casino, and its annual song festival, the most important musical event in Latin America. 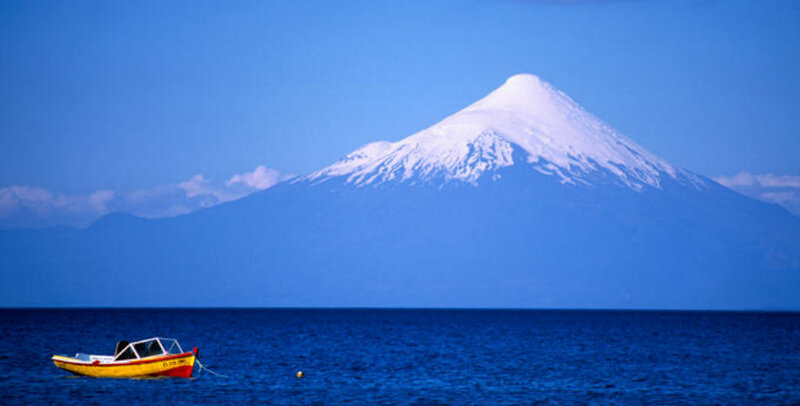 Pichilemu in the O'Higgins Region is widely known as South America's "best surfing spot," according to Fodor's. 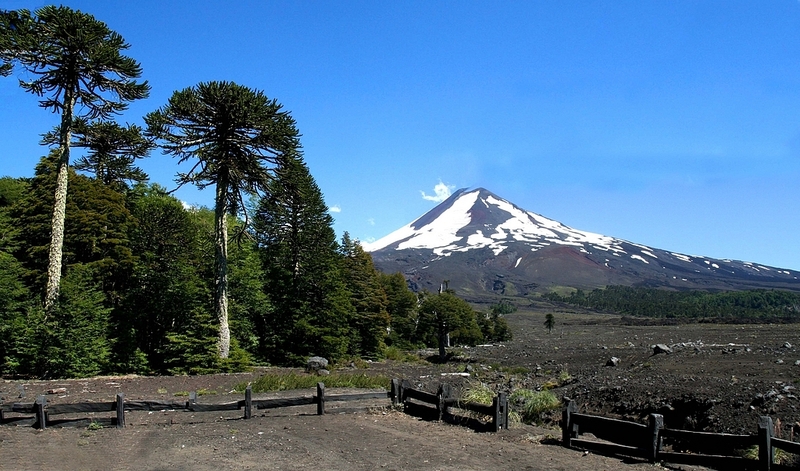 In November 2005, the government launched a campaign under the brand "Chile: All Ways Surprising," intended to promote the country internationally for both business and tourism.